At a Peace Day celebration today in Rockville, Maryland, Mattie T. J. Stepanek was remembered. The memory of the boy, who died when he was 13 years old in 2004 of a rare form of muscular dystrophy, was honored Saturday by State Sen. Cheryl Kagan with a proclamation. 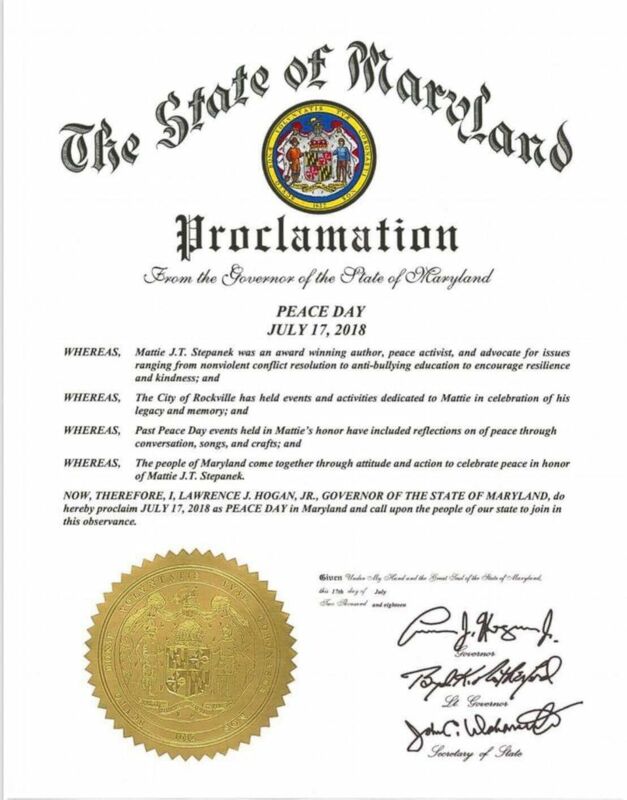 It declared that Tuesday, July 17, would be considered "Peace Day" across the state of Maryland. Mattie Stepanek, 11, and his mother, Jeni, are shown at their home in Upper Marlboro, Md., Nov. 5, 2001. The date was selected because Mattie -- who wrote several books of inspirational poetry and was an advocate of peace -- would have turned 28 Tuesday. A proclamation in honor of Mattie Stepanek, an award-winning author and a peace advocate who died when he was 13 years old of dysautonomic mitochondrial myopathy. Kagan, who was so moved at a local "Peace Day" celebration last year that she committed to expanding it to county, state and national levels, presented the award to the boy's mother. Jeni Stepanek has set out a goal to make the day a national holiday. 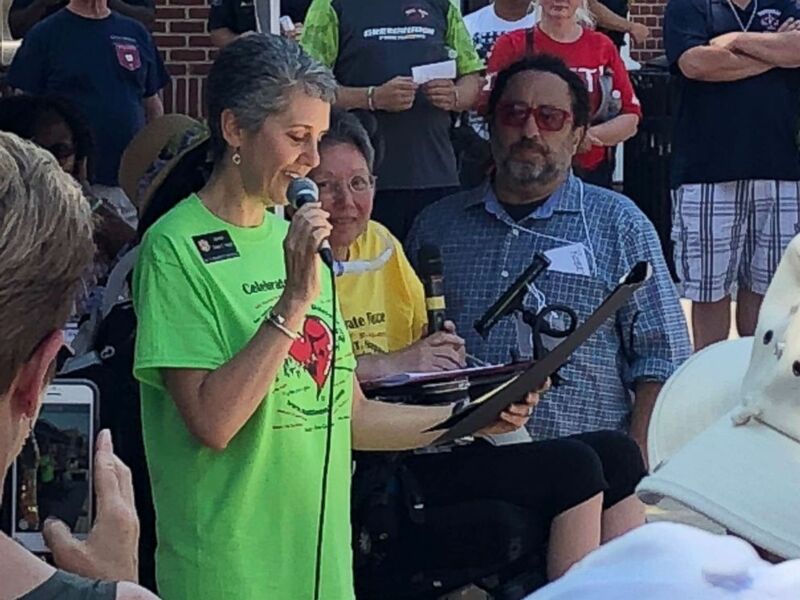 Sen. Cheryl Kagan of Maryland reading from a proclamation in honor of Mattie Stepanek, who died in 2004 at the age of 13 from a rare disorder. “This is exciting, as it has pushed the holiday to the next level, across the state,” Jeni Stepanek said. In the days after the Sept. 11, 2001, terrorist attacks, Mattie appeared on "The Oprah Winfrey Show" and "Good Morning America" to spread his joyful and positive message on humanity, love and life-inspired to millions of readers and television viewers. Mattie, who wrote seven best-selling books of poetry and openly discussed struggling with his illness, spent most of the last two years of his life in a hospital. On December 4, 2001, Mattie appeared on Good Morning America -- one his many appearances -- to discuss one of his books. Charlie Gibson, who was the anchor of the show then, surprised him by bringing out his favorite peacemaker, former President Jimmy Carter. "You had but to see his face when we brought his hero, President Carter, in to meet him," Gibson said Saturday. But the meeting seemed just as emotional for Carter, who seemed moved to tears when he met Mattie. Gibson added that it wasn't just the former president who was touched by the boy's story. 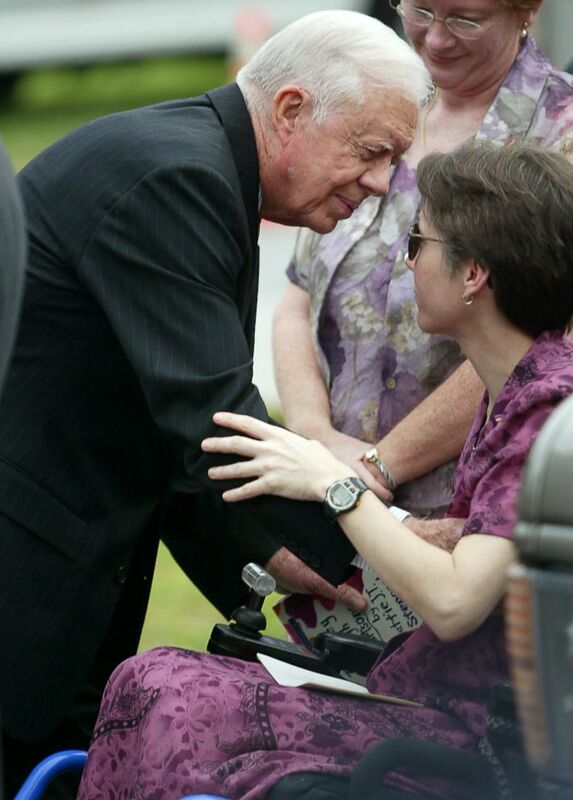 Former President Jimmy Carter comforts a bereaved Jeni Stepanek, mother of the late poet Mattie J.T. Stepanek, before his funeral at the St. Catherine Labour Catholic Church on June 8, 2004 in Wheaton, Md. "I can only wonder from whence Mattie drew such reserves of happiness, but it made him an inspiration to all of us fortunate enough to know him,” he added. That reach seemed to endure, as more than 600 people attended the proclamation ceremony in honor of Mattie. 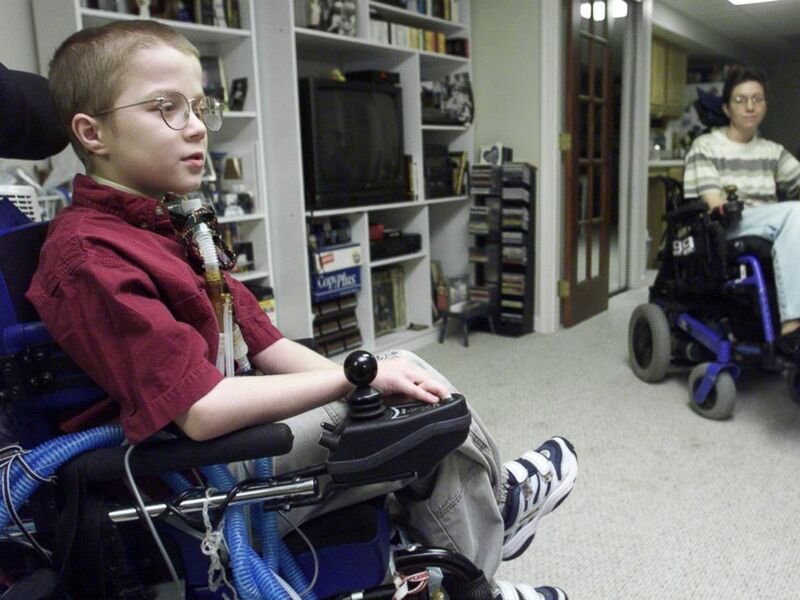 The Mattie J. T. Stepanek Foundation has been founded in his memory. Jeni Stepanek, who is a senior faculty specialist at the University of Maryland, leads the foundation. On its website, it reads that it exists "to further Mattie's message of hope and peace."